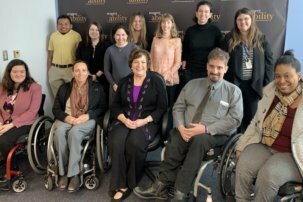 Career Lessons from a Romance Writer: Robert Rudney on Life, Love and Pursing Your Career in D.C.
Rockville, Maryland, Nov. 13 – Disability advocate and author Robert Rudney had a fulfilling career in politics and advocacy. He began in the war field as a writer for the U.S. Air Force and later as a War Research Associate at University of Louvain in Belgium. Rudney was the Associate Intelligence Analyst at Booz Allen Hamilton, where he analyzed possible terrorist attacks and drug money laundering for the Department of Homeland Security. 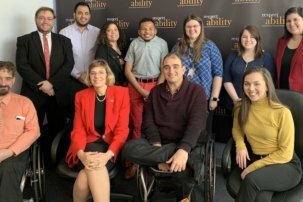 He publicized a report on employment opportunities for disabilities for the CEO of Booz Allen. Noticeably, Rudney was the Chairman of EXCEL! Networking Group, a support group for jobseekers with disabilities. 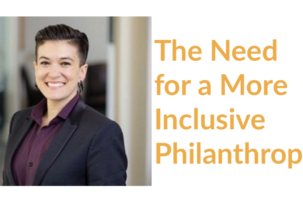 During his role, he hosted networking events, workshops and peer mentoring sessions. Rudney was a contributing writer for President Barack Obama’s Disability Power & Pride campaign. Rudney’s novel Lovers Lame about a steamy romance between a couple with disabilities has received positive reviews. Today, he is retired and he still is consulting for jobseekers with disabilities. He stopped by the RespectAbility office to talk to the Fellows on making good impressions. Rudney started the session with the art of elevator pitch. Rudney gave an example of his elevator pitch and he listed his name, his background and what his motives are. Upon asking any mistakes, the Fellows pointed out he didn’t describe what he did in his past jobs. Rudney emphasized the main problem was he didn’t describe what his jobs were at the present. Rudney invited the Fellows to give their own elevator speeches for feedback from each other. Rudney also taught the Fellows how to network. “Sixty-nine percent of jobs are found through networking,” he said. Networking includes people who know people, old colleagues recruiting one another (known as referral) and going to job fairs. To successfully network, the applicant must have a common interest in the company. Rudney taught the fellows these simple rules when networking. Talk to people: Ask bosses, colleagues and other acquaintances for information about the company. Referrals are important because they can introduce you to leadership. Present your background and goals: Project what you are all about to the leaders and recruiters. Rudney repeats, “Who are you? What’s your background and why you are here?” Be sure to choose your jobs, so it can match the company. Your background and goals might be what the company is looking for! Take notes and ask questions: Notes will remind you of crucial details about the company and the jobs you are looking for. Questions will give you glimpses of the company and it shows them that you genuinely care about them. Your enthusiasm and your interest will encourage leaders and recruiters to ask questions about you. Keep in contact: Send each of the people you meet thank you notes (Handwritten is best!) after the meetings. It is very important to check up on them once a month, so you can build relationships with them. Your contacts come in handy when new jobs come up. After speaking, Rudney offered the Fellows one-to-one meetings to review their resumes and cover letters. Through Rudney’s mentoring, Fellows received important advice and tips on how to strengthen them. Rudney’s insightfulness and experience was helpful to the Fellows as they continue with their job searches.